Spencer Platt/Getty ImagesEric Trump, son of President Donald Trump. 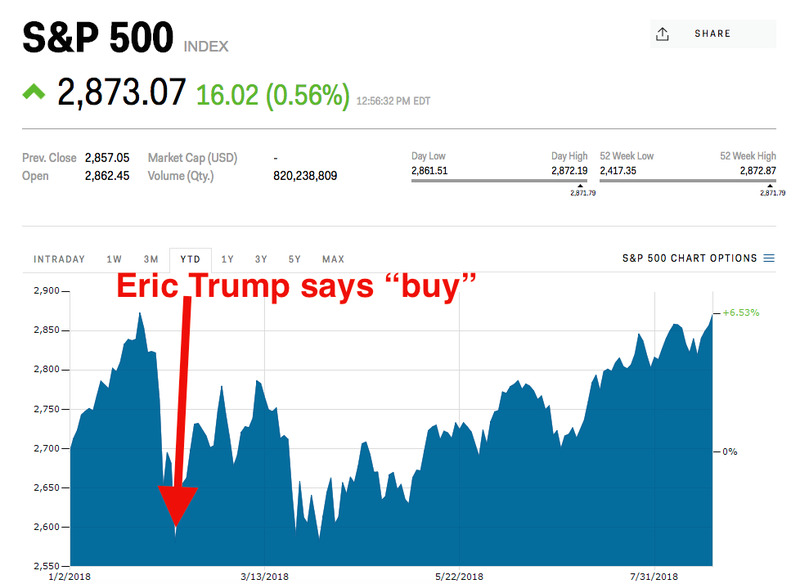 Eric Trump, the younger of President Donald Trump’s adult sons, said stocks were a “buy” on February 8, the day the market tumbled into a correction. His call coincided with the lowest S&P 500 close of the year. The index has since rallied more than 11% to hit a record high. Eric Trump’s call still pales in comparison to the one made by former President Barack Obama. Eric Trump nailed his stock-market call. On February 8, the stock market had just tumbled into a correction – a 10% drop from its recent highs – amid fears the Federal Reserve would have to hike interest rates more aggressively than it had been telling investors. 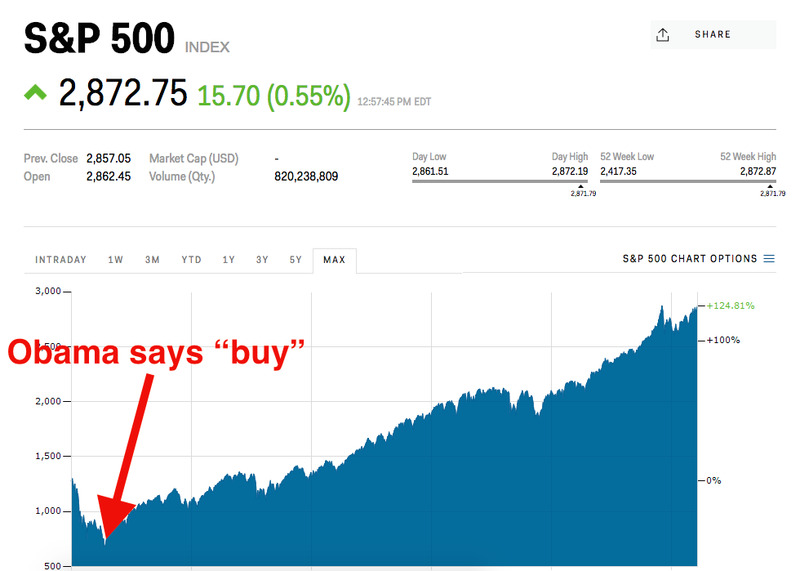 That’s when Trump, the younger of President Donald Trump’s two adult sons, bravely declared that stocks were a good buy. It just so happens that Trump made the call to buy stocks less than two hours after the S&P 500 put in its lowest close of the year. Since then, the S&P 500 has rallied more than 11% to break the record high of 2,872.87 set on January 26. And while Trump’s call was a good one, it pales in comparison to the one made by his father’s predecessor, former President Barack Obama. Three days later, the S&P 500 put in what may be a generational low of 666.79. The index has since rallied an astounding 331% and is in the midst of what could on Wednesday become the longest bull market in history, as measured by its rise from the trough hit in March 2009.